What would it take to get me to switch primary controllers yet again? A lot, given the hassle of learning new layouts and interfaces, not to mention the costs of buying a new product itself. It’s not surprising that a legion of Traktor DJs have stuck with their faithful controllers, forgoing newer updates offered by Native Instruments. Now, all of us may have to seriously consider updating our gear. The latest Traktor Kontrol S4 MK3 brings a lot of new benefits to the table, and may just be the best DJ offering NI has made in a long time. The haptic system delivers remarkable turntable performance that blows other spinning wheels out of the water and feels like a real turntable. The anticipate cue point “feel” was less exciting. 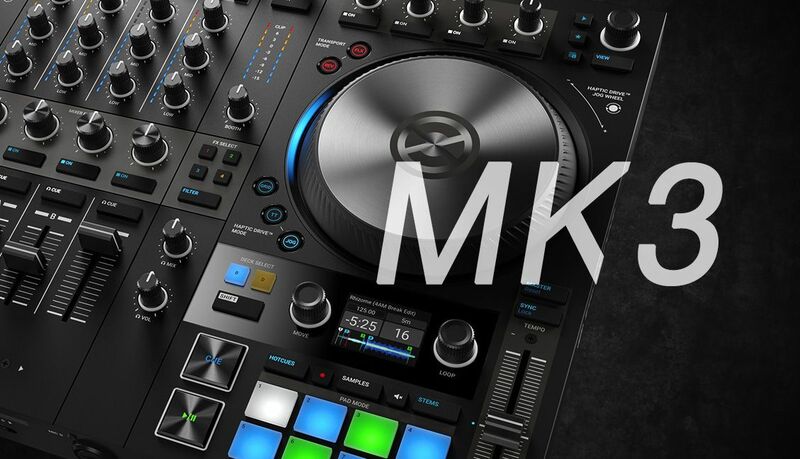 The interface, design, and workflow has been updated to reflect modern, professional DJ standards and aesthetics with 2018 build quality that is a noticeable bump up for the Traktor Kontrol line. Overall, the new S4 feels like a very mature offering from Native Instruments. It has has taken all the learning from their last five large controllers and condensed it into one go-to flagship operation. The S4 honors the turntable legacy with high performance spinning platters that work surprisingly well with limited weight and size – most spinning platter controllers are much larger and heavier. NI has also done a radical facelift on this version, completely re-thinking the layout, design language, and functionality. In almost every case, the changes seem to be for the better – although they take some getting used to. 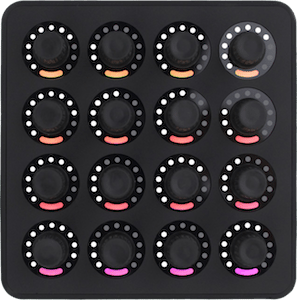 The controller also makes it realistic to use Remix and Stem Decks with limited controls and a fun new feature that will bring basic sequencing to most DJ sets. Finally, with a big quality update to the sound card and internal audio summing model, you will also probably notice a nice improvement to sound quality. These changes and more bring this Traktor controller more in line with current industry standards, making it a solid choice for most DJs. Native Instruments famously tried to replace the jog wheel on the S8 and S5, offering more buttons, screens, and space instead. If this was an industry trend, the tide is turning back, and NI seems to have thrown their lot in with spinning jog crowd. The S4 MK3 has a fabulous motorized platter with adjustable tension and – a first for the industry – haptic feedback. 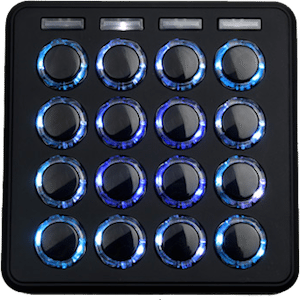 The designers have also completely re-thought the interface of the new S4, abandoning many of the designs from previous Kontrol units. Instead, the design aims for a bold new “pro” direction, focused on mixing, industry standard workflows, and DJ fundamentals. 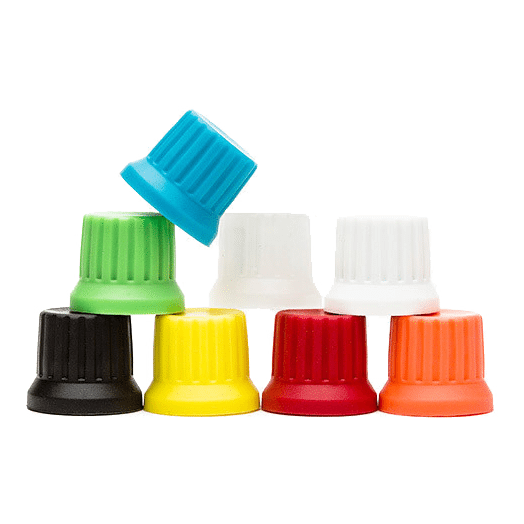 Most will probably welcome the changes, while Kontrol traditionalists may want to stick with their older models. 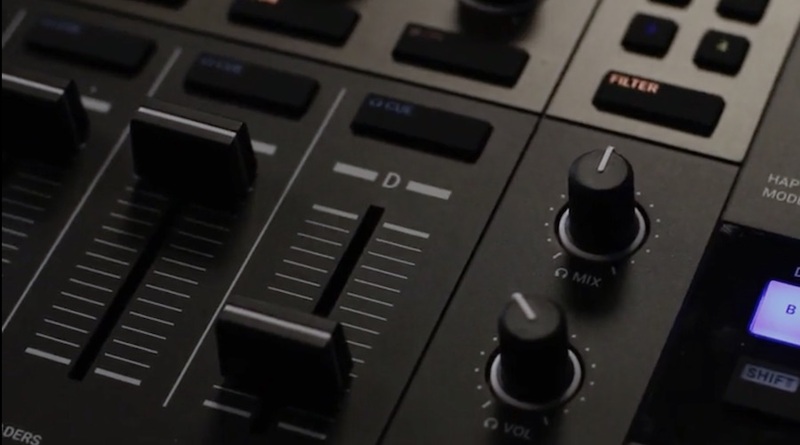 New button layout abandons previous workflows and adopts Pioneer DJ’s industry standard. For old S4/S8/S5/S2 owners, it will take getting used to the new placement of Shift, Pause, Play, Sync, etc. Just edging over the limit of weight and size for traveling in a backpack. My shoulders are hurting after a long DJ trip to Hawaii. Haptic Engine cue point features didn’t appear to be very game changing (in this version). Jog wheels are the biggest physical and most revolutionary thing you notice when first using the brand new Traktor S4 MK3. These are a radical update, with original magnetic technology that provides strong rotation and haptic feedback in a light, portable package. The jogs are also larger and more prominent, making scratching on the unit significantly more realistic. Can you scratch on the Kontrol S4MK3? Flutter on deck remarkably similar to a direct drive turntable, makes adjusting on the fly intuitive and true to a vinyl feel. I mostly skipped the turntable features, staying mainly in jog mode and using the jogs as large, very capable pitch bend controllers. My main road unit has been the Kontrol S5 with touch faders, and it was a welcome change to have a more appropriate and sensitive way to fine tune beat matching. While I love the size and simplicity of the S5, it’s going to be hard to go back to touch faders again. The big thing you’re probably curious about is the Haptic Engine feedback. These new S4 jog wheels can create dynamic resistance and vibrations that feel like you are moving across bumps, ridges, or gaps. Very common in the automotive space, but this is the first time that a DJ company has introduced that high-end feature on a controller. The idea is that you can feel the beat grids and cue points through tactile feedback, instead of relying on the screen or headphones. The versions I tested were very preliminary implementations, and probably a far cry from the release software – but what I did experience didn’t provide much of a “ Wow?” moment with “feeling” my cue points. It was a cool experience, but not a game changer that will become fundamental to my workflow. That could change in the future though, as the underlying technology provides an incredible range of potential that is waiting to be tapped. One thing the Haptic Engine did execute perfectly was fantastic turntable emulation. It was the best I have ever experienced on a jog wheel. 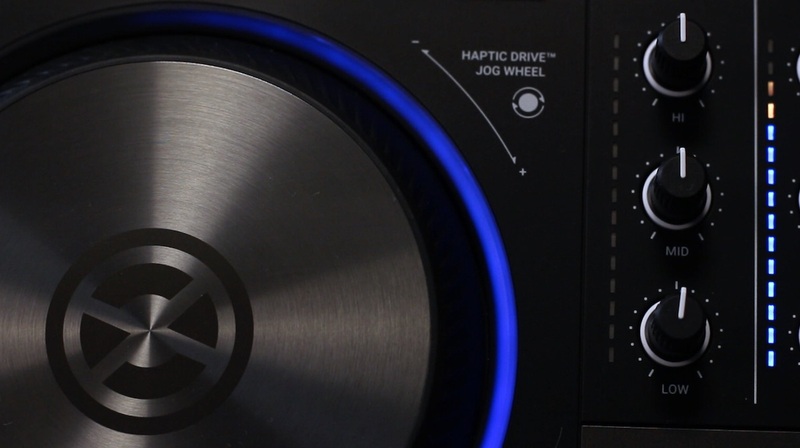 Largely because of the haptic system, all the sensations you are used to on the turntable feel nearly identical on a 5” jog wheel including backspins, quick releases, and excellent torque control. By holding down the jog or TT buttons, you can move the jog and increase or decrease the “tightness” of the wheel. This process was very intuitive and the resulting performance felt significantly better than almost all wheels (on CDJs for example) that use mechanical resistance mechanisms to more crudely create the same effect. I certainly noticed that the sound seemed to be louder and more clear than on previous S5/S4/S8 controllers. The Traktor team reported back that indeed there is an updated DAC (Digital to Analog Converter), a high-end model with output levels comparable to CDJs. It’s a 24-bit, 114db Cirrus Logic DAC. This is the first Native Instruments controller with this particular audio card and its features really shine. The headphone outputs sounded louder to me, which was welcome as even the S5 and S8 controllers (the loudest of the bunch) still occasionally ended up maxed out in loud clubs. We introduced a completely new limiter type (called “Transparent”). The old limiter, now called “Classic” allows a certain degree of clipping and thereby distortion or warmth. This “sound” of the Classic limiter is known, appreciated and we did not touch it. The new limiter is allowing absolutely no clipping and is therefore crystal clear. The magic of the new limiter is that on the flip side it does not operate at all below 0dB. The faders are the same inverted fader technology found on the S5/S8 controllers (which was a big improvement over the earlier S4 and S2s). 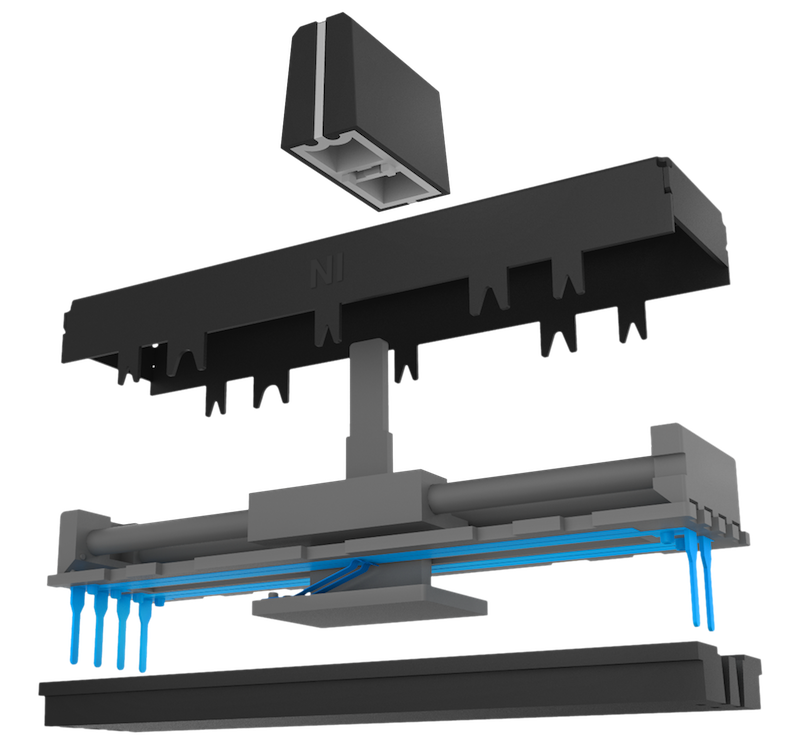 These faders significantly reduce dust and dirt that enters standard fader configurations, causing them to fail over time. It was a common occurrence with the original S4 MK1 that one or two faders would eventually start jittering and ghosting. That has not been the case on my S5, and in testing the new S4 MK3, the faders felt really, really nice. The contacts on this fader (diagram below) are on the bottom of the fader instead of the top surface (which is standard on traditional DJ gear). This gives it a much better chance at surviving toxic sugar drink spills and coffee mishaps. The knobs and buttons have received a nice update that makes them look and feel more professional. Industry standard cue and play buttons are now much larger and feel great, with a playable “clicky” performance that will feel familiar to anyone who uses CDJs. Eight rubber cue pads buttons are a bit smaller but still very playable, and the spacing is actually more finger-friendly than the larger previous versions. All knobs are recessed now, with an orientation in the gain and EQ section, which feels more like a classic mixer. Traktor is well-known for its deep FX sections, with detailed controls that offer very expressive sound palettes. That said, many DJs don’t seem to really appreciate or need the depth of those engines and prefer quick “turn and go” effects. NI has responded with a new Mixer FX effects engine that is separate from the standard 4 FX banks. These are simple delay, reverb, and bit crusher FX combined with a low or high pass filter on a single knob in the mixer section. Turn the knob left or right and you instantly get an effect that sounds very nice. The classic Left/Right filter is also available, but DJs can also assign their own choice between nine different mixer FX to one of the four preset buttons, and assign each of them to different decks. This was a nice touch, and provides welcome individuality. For me, I’ll likely keep classic filters on Decks A/B, while using bit crusher and delay on Decks C/D, which run background loops. I liked that these Mixer FX are post-fader, which means I can enable a delay quickly and then pull down the fader for a clean delay tail. For the mobile crowd or DJs working with musicians, the controller has several mic input improvements that you will like. If you are running Traktor, mic inputs are still routed through decks, which means that you would lose decks C and D if both microphones are in use. This does allow you to apply Traktor effects or loop record the live inputs, which is fun for creativity. On the downside, there is some decent latency when running a live input in and out of Traktor, which is fine for vocals but less ok for drums. I wish the mic could be directly routed to the output so it didn’t use up a deck and allowed me to record my sets internally without vocals. This feels like a small but important practical update, which makes the controller much more usable. There are now small RGB screens between the Loop move and set buttons that show critical info about the deck. Rather than the large screens that largely duplicate the laptop, these give just enough critical information without taking up a lot of space. In the current iteration, they show the full length waveform, which I found to be relatively pointless, but the team told me that a tighter wav view would also be possible as they will potentially be user customizable in the future. 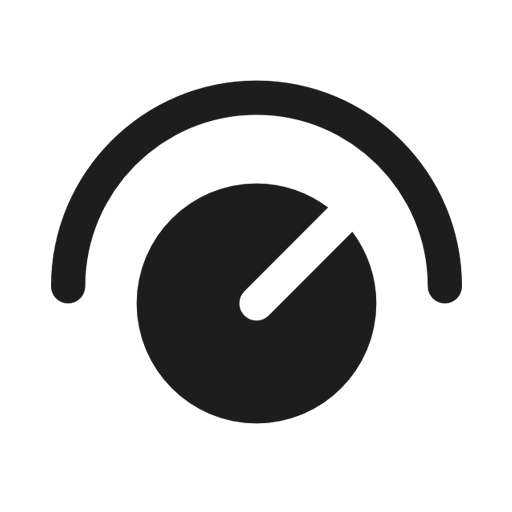 It may seem simple, but having clear, useful level meters are critical for anyone DJing outside of the home. Previous Kontrol units were fairly lacking in this department, and the new S4 MK3 provides simple but much-needed updates in this department. The individual channel meters are much more clear and visible, they also happen to look better as well. The master meters are now full mixer sized and much more practical than previous incarnations. The new “Master” section with easy to reach booth, headphone and master levels. 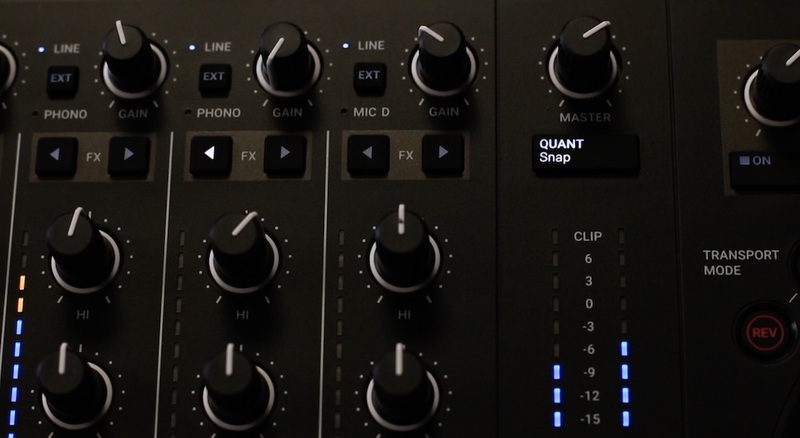 Pulling out the master section was a bit strange to me at first, as it upsets the symmetry – but with further testing and use I found it to be a welcome update and much more like a professional mixer than controller. It’s a fun, practical tool that I can see actually using in my sets! That’s a very personal question, but here are some clear groups that I think might really benefit from upgrading to the new S4, or staying with your existing system. Owners of the S2/S4/S5 that want better Stem + Remix Deck control without extra side controllers. The implementation is definitely more usable. Hold on to your cash! Owners of the S5/S8 that don’t have any need for jogwheels or pitch faders. Anyone that absolutely loves their existing button placement and doesn’t want to learn a new workflow. If you traveling a lot to shows, especially on a plane, this might be too big for most backpacks and your shoulders. 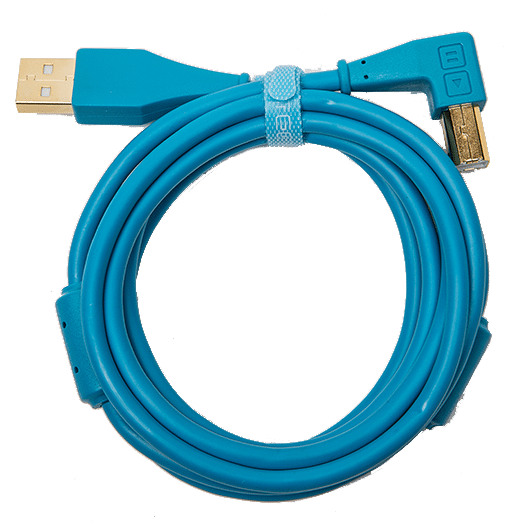 This is a powerful device that is nearly perfect in many ways. In summary, I really think this is a solid offering from NI, and after a few weeks of testing it has won me over. When I first saw the controller several months ago, my reaction was “Oh man – that’s way too Pioneer looking, and I hate how they moved everything around!” After playing with the controller, the changes are becoming less annoying and the benefits much more clear. This is a powerful device that is nearly perfect in many ways. If it was a bit smaller and lighter, I would probably switch permanently to it for road gigs. The new sample recorder controls and clear sound card make it very difficult to leave behind. As I’m writing this review, it’s stored above me in the overhead compartment on our way to play a show in Hawaii, and I suspect you will start to see a lot of these around small clubs and mobile gigs soon. Can we control Remix/Stem Decks from this controller? Yes – while limited, it was usable and better than other controllers. Can I re-map controls on the S4 to do different things? Not now – but we are told it’s coming soon. Has the time stretching been improved? Yes – the new version of Traktor uses Elastique 3. Can I use the controller as a stand alone mixer? Not right now, but you will be able to soon. When it is enabled in a future update, full functions include filter, EQ, mic input and phono input. Are the headphone outputs loud enough? Yes, they are very loud. 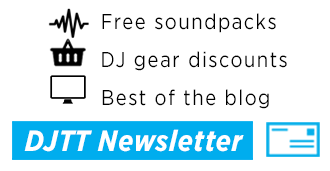 Traktor Kontrol S5 Review: The True S4 Followup?